For over 20 years, I have been teaching, creating and presenting dance/theatre in northern Vermont. I collaborate with a variety of people (ages, skills, histories) using many art forms (dance, music, video, visual, words) both improvised and choreographed. I offer performance opportunity to people who otherwise might never have the chance. I am one of a small handful of Vermont choreographers making work for a mixed ensemble of seasoned dance artists and fledgling performers, who don’t necessarily fit the stereotype of "dancer/ performer". Because of the site-specific work I do in the community, many people in the audience will come to the theatre for the first time, stepping through the door to see contemporary dance created by accessible neighbors. An important component of my work has been exhibits of completed site-specific performance projects that give the visual artists involved an opportunity to re-design and show their components, and offers yet another chance for the public to experience the project. Included in these exhibits are photographs, set elements, video, texts and audience responses. In March, 2001, the Flynn Center hosted a retrospective photographic exhibit of my work spanning 12 years. 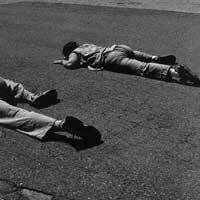 In 1991, I started my non-profit, Cradle to Grave Arts, an artist-initiated organization dedicated to contributing to the community through stage pieces and large site-specific projects, connecting with people who ordinarily don’t have access to contemporary performance art. Cradle to Grave Arts uses the creative process as a way to educate, challenge our thinking, broaden our understanding, and enhance our ability to be fully involved members of our community. During its ten years of operation, Cradle to Grave Arts has flourished in its unique position, attracting a growing and varied audience. In all presentations, it partners with civic organizations. Cradle to Grave Arts has received community, state, regional, and national recognition. 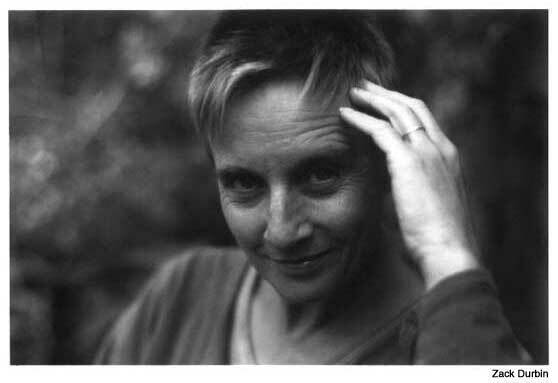 As its artistic director, I was the recipient of the 1995 Vermont Arts Council Citation Award; the American Association for State and Local History Award in 1996 for "The Mill Project", the first time a choreographer received this award; New England Foundation for the Arts - Building Communities through Culture four year fellowship starting in 1995; Vermont YWCA 1999 Susan B Anthony award; and also in 1999, I was named to the "short list" of artists across the nation who were considered for the National Endowment for the Arts - Artists & Community: America creates for the Millennium. 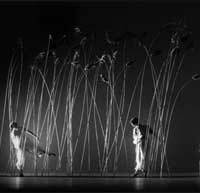 Inside Moves, 2001, was a dance/theatre stage piece inspired by non-verbal language - gestures, sounds and impressions - arising from the personal interior landscape. 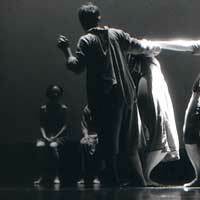 The movements are abstract images woven together in mythic relationships to form a dream-like "story". It was performed at the FlynnCenter for the Performing Arts on June 17th as part of a residency for three Vermont Choreographers, Outside Moves Inside, produced in partnership with the Flynn. The Bus Barns Project was a site-specific dance/theatre performance event about mobility and its effect on our lives performed June 9, 10, 11, 2000. It honored this 130 year old public transportation site - Vermont Transit Bus Repair Barns - and opened the door to its new incarnation as affordable rental housing and start-up. This was produced in partnership with Burlington Community Land Trust and Burlington’s Community and Economic Development Office. 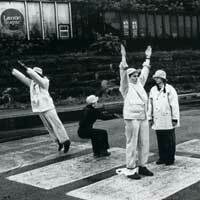 The Neighborhood Project was a trio of public art performance events during 1999 that explored, through the lens of art, Burlington's urban places. They focused on the city’s inhabitants, their homes, their gathering places, the memories shared and those uniquely individual, and addressed the question: What makes a vibrant neighborhood? This was produced in partnership with Burlington Community Land Trust and Burlington’s Community and Economic Development Office. The Waterfront Project was an art event designed for the first Sunday of every month for entire year of 1997 that took place on the post industrial waterfront of Burlington. It focused on offering alternative perspectives for the re-integration of the abandoned buildings and 45 acres of open, post industrial land. This was produced in partnership with Burlington’s Community and Economic Development Office and Burlington’s Planning Office. 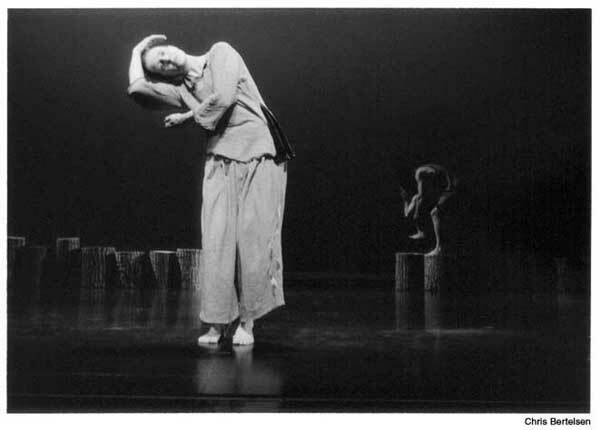 Running like mad with our eyes closed, 1996, an evening length dance/theatre piece created for and performed by Working Ground that focused on aspects hidden or partially obscured. It was part of a summer dance residency at the Flynn which presented in partnership with Cradle to Grave Arts. 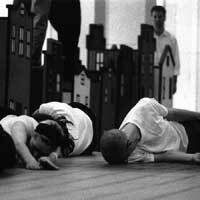 The Rose Street Bakery Project, in November, 1995, addressed the basic needs of food and shelter in a 10-hour weekend performance in an abandoned building that became Vermont’s first artist cooperative in 1996. This was produced in partnership with Burlington Community Land Trust. 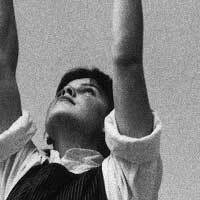 The Mill Project, 1995, was a 54 hour performance in a renovated woolen mill that focused on the Winooski textile mills of 1900 and on the concerns of past and present-day workers everywhere. This was produced in partnership with The City of Winooski and The Woolen Mill. 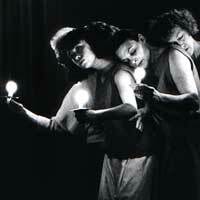 Gather, gather, hold your breath, 1992, was the first dance/theatre performance created for my multi-generational ensemble of women, Working Ground. This evening-length piece was performed in the Flynn’s On Stage series in January, 1993 and the Flynn was the presenting partner. Financial support has come from Vermont Arts Council (National Endowment for the Arts), Vermont Community Foundation, New England Foundation for the Arts (Rockefeller Fund), The LEF Foundation, Golub Foundation, Puffin Foundation, Burlington City Arts, IDX Foundation, and many generous individuals and businesses from the community.